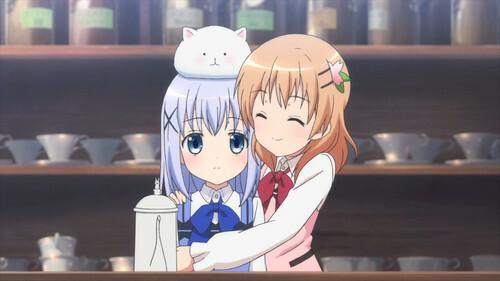 HOUSTON – Cat cafes beware: there’s a new contender for cute hopping its way over, and the order of the day is fluffy, white and full of bite in Sentai Filmworks’ latest acquisition, Is the Order a Rabbit? This slice of life comedy series is directed by Horiyuki Hashimoto (Angel Beats!, Devil Survivor 2) with series composition by Kazuyuki Fudeyasu (Kämpfer, Princess Resurrection), character design by Yousuke Okuda (Kuroko’s Basketball, Tari Tari) and animation production by WHITE FOX (SoniAni – Super Sonico the Animation, Tears to Tiara). Tea time has never been cuter or furrier! Get ready for a triple shot of adorable, and join Cocoa and her high school friends for a hopping good time as they embark on new exploits, living the good life and hanging out at their neighborhood joint - a quaint café called Rabbit House. Based on the popular four-panel manga, this slice of life, teenage school-girl comedy is just the mid-day “pick-me-up” you ordered. Time spent with friends is great, but hanging out beside a bundle of bouncing and beguiling bunnies makes it all the merrier! All named after delicious and refreshing beverages, cute Cocoa (“hot cocoa”), tough Rize (“Thé des Alizés” tea), ordinary Syaro (“Kilimanjaro” coffee), frivolous Chiya (“Uji matcha” tea), and cool Chino (from “cappucino”) are destined to be your favorite tea-time companions as all the fun is just a hop, skip, and a jump away in - IS THE ORDER A RABBIT? Is the Order a Rabbit? will be available soon through select digital outlets with a home video release to follow.